Take a French course in Martinique and bask in this warm Caribbean paradise, which enjoys a year-round average temperature of 26°C! Locally dubbed the ‘Island of Flowers’, Martinique is an overseas region of France where you will find almost everything you know from the mainland in one of the most picturesque and tropical settings you can imagine. Sandwiched between the Caribbean Sea and the Atlantic, the island is a well-known destination for water sports enthusiasts and nature lovers. Our school offers language courses in the Trois-Îlets area, just a short ferry ride from the bustling island capital and port city of Fort-de-France. The town - named after the three islets close to the shore - is famous for being the birthplace of Empress Joséphine, wife to Napoleon Bonaparte. Trois- Îlets offers all the necessary local amenities, including restaurants and snack bars, supermarkets and convenience stores, and entertainment venues such as a cinema and a yacht club. There’s even a golf course overlooking the gorgeous bay! It’s widely considered a calmer and more relaxed counterpart to the busy capital. Trois-Îlets boasts several tropical beaches, each lapped by crystal-clear waters and lined with palm trees. Nearby traditional marketplaces sell local produce and crafts, and the area’s museums give an insight into the island’s history. Popular attractions include: Le Musée de la Mer science museum; La Maison de la Canne, which explores the history of sugar cane farming on the island; and La Pagerie, the household home of Empress Joséphine. Colonial architecture provides the backdrop for vibrant festivals showcasing the island’s culture and heritage, a wonderful combination of European, African, and Native Caribbean influences. 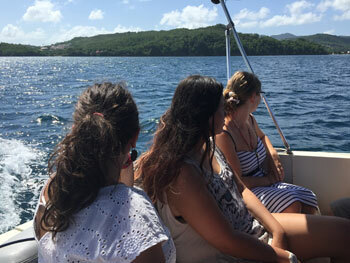 Located just off the popular Anse-Mitan beach, with its wide marina and Creole Village (a colourful area packed with boutiques and cafés that’s well worth a visit), our school in Martinique is ideally placed for some exploration or seaside relaxation after your classes have finished. Lessons take place in a small building located just a short walk from the seafront, which offers great views of the beach. It has excellent facilities for students including bright classrooms, a student lounge, a kitchen area with a microwave, fridge, and coffee machine, and wireless Internet access throughout. The school’s size means that its tutors can offer highly-personalised attention to each student who attends, helping to create a truly bespoke language experience. 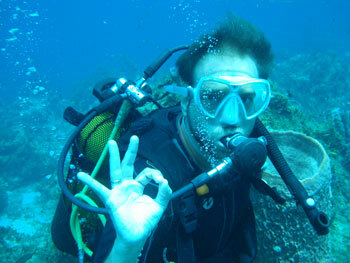 Staff are also happy to recommend the best activities for you to get involved in to make the most out of your stay. 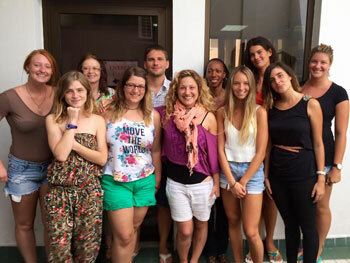 Our school in Martinique teaches standard French that you will be able to use to converse with any Francophone, regardless of where they come from. All the teachers are native French speakers and are fully-qualified and experienced in teaching French as a foreign language to students of all nationalities and backgrounds. Our courses are suitable for students of all levels, from complete beginner to advanced. On arrival at the school, if you already speak some French you will take a level test to ensure that you are placed in a suitable group with students of a similar level to yourself. Beginners, of course, do not need to take this test and will automatically be placed in a group with other beginners. 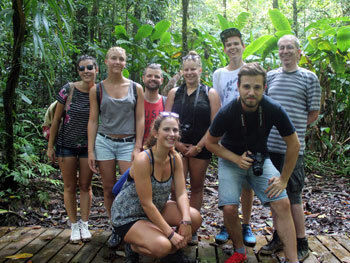 The most popular course offered by our school in Martinique is the Intensive course, consisting of 20 group lessons per week. On this course, students focus on improving their overall level of French with an emphasis on the everyday, practical usage of the language. The exact content is tailored by the teacher to meet the level and requirements of the class. The Super-Intensive course combines these 20 group lessons with 3 themed workshops spread over 6 afternoon lessons. These additional 6 lessons per week concentrate on reinforcing knowledge of French grammar and vocabulary, exam preparation techniques, or learning more about the history and culture of the island. If there is any aspect of the French language that you would really like to concentrate on during your time in Martinique, you might like to consider adding individual tuition to your group programme by choosing the Intensive + Private Lessons package. For those who work best alone or need extra-special attention, the course of Private Lessons is a perfect fit, providing unadulterated one-to-one time with your tutor. Add some adventure to your language course and make the most of your time on this stunning island by booking a French course with diving or kite-surfing! The courses are offered all year round and combine 20 weekly French classes with 3 sessions of your chosen water sport per week. We also offer a Business French course, which consists of 20 general French lessons plus 6 specialised one-to-one sessions per week focusing on the language skills required to conduct business in French. Please note that you will already need to speak French at an intermediate level to take this course. 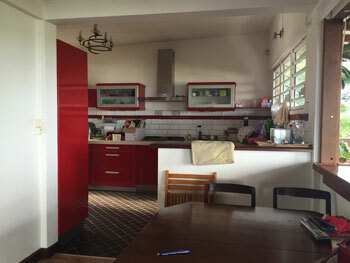 Host-family accommodation is offered in Martinique and is a great opportunity to experience the culture of this fantastic destination first-hand! Choose between bed-and-breakfast, half-board, or full-board and receive one, two, or three meals per day as part of your accommodation package. 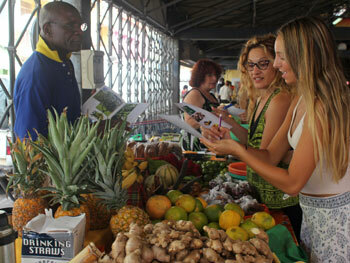 The hosts are usually located within Trois-Îlets itself, or across the bay in Fort-de-France or Schoelcher. A small supplement is applied if you wish you have a private bathroom, lodging within walking distance of the school, or a special diet (prices for these options are available on request). Do note that a vegetarian diet does not incur a dietary supplement and can easily be catered for by your French-speaking hosts. For an entirely independent experience, we also offer single- or group-use apartments in the school’s Pointe-du-Bout residence complex. These apartments are offered on a self-catering basis and are equipped with kitchenettes in which you can prepare your own meals. The complex is surrounded by restaurants and local shops, offering you the opportunity to dine out in the evening if you prefer. Please note that our school residences charge an extra small-city tax (approximately €1/day), which is payable on arrival. 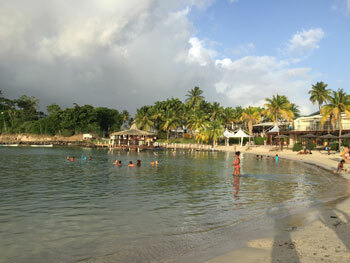 Our school offers regular activities designed to show you all that this magnificent island has to offer! Activities are conducted in French so also help to supplement your learning outside the classroom. 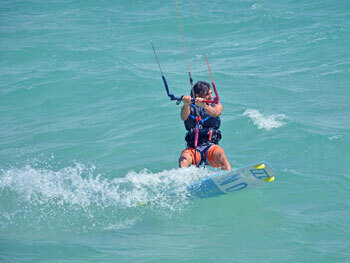 Guided tours, tree climbing, golf, surfing, motorbike tours, and catamaran trips are just some of the possibilities. Some of these activities are included in the course fee, whilst others incur an additional charge to cover entrance and/or transportation costs (payable on-site). All activities are completely optional, and many will require a minimum number of participants in order to proceed. 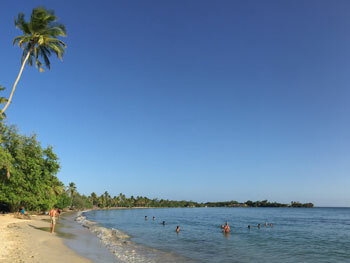 Most flights from Europe to Martinique are via Paris. The nearest airport to our school is Aimé Cesaré International Airport; students should arrange to arrive on the island on the Sunday before their course starts and to depart on the Saturday after their lessons finish. Optional airport transfers to and/or from Aimé Cesaré can be arranged at an additional cost, which will take you directly to and/or from your accommodation. Average score for our school in Les Trois-Îlets based on 4 previous client reviews.